A personal injury claim arises when you are injured by someone else’s negligence – that is, a failure to use ordinary and reasonable care that causes harm. Perhaps you have been injured in a car accident or suffered medical malpractice. One element that you must prove in any personal injury case is damages caused by defendant’s negligence. Not only is proof of damages important to establish your case. Sufficiently proving damages maximizes your recovery. But what kinds of damages can you recover? There are three basic types of damages: (1) damages for economic losses; (2) damages for non-economic losses; and (3) punitive damages. 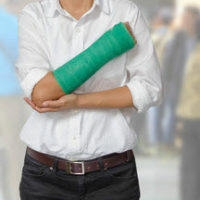 Loss of earning capacity/future earnings, if your earning ability is permanently hindered due to your injuries. Economic damages compensate for direct financial loss and are most susceptible to direct proof. In certain circumstances, the injured plaintiff’s family members may also be entitled to recover for loss of consortium or companionship. Non-economic damages are more subjective and more difficult to assign a monetary value. If you or someone you love has been injured in an accident, you may feel you do not know where to turn for help. At Lesser, Lesser, Landy & Smith, PLLC, we have years of experience representing clients in all manner of personal injury cases. We have been serving the legal needs of Florida’s residents since 1927, and we will be by your side throughout the entire case process from start to finish. We have offices in West Palm Beach, Stuart and Boca Raton. Contact us today for a free consultation about your case.